Apple's watchOS 2 is a huge update for the Apple Watch, including features like new watch faces, native third-party app support and a whole lot more. 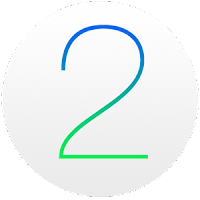 With beta 1 of watch OS 2 bringing about various complaints regarding stability and sluggish performance, watchOS 2 beta 2 will likely aim to correct many of these issues. If you have the first beta of watchOS 2 installed on your Apple Watch, you will be able to download and install the OTA update to beta 2 straight away. You will have to launch the Watch app on your iPhone, tap General, then go to Software Update, and you will see the watchOS 2 beta 2 download waiting for you. If this is the first time you are installing the beta, read this guide for details on installing the beta build of watchOS on your Apple Watch. You will need to plug-in your Apple Watch to a power outlet during the update process. It is important to note that watchOS 2 is not downgrade-able to watchOS 1.x, so proceed at your own risk.